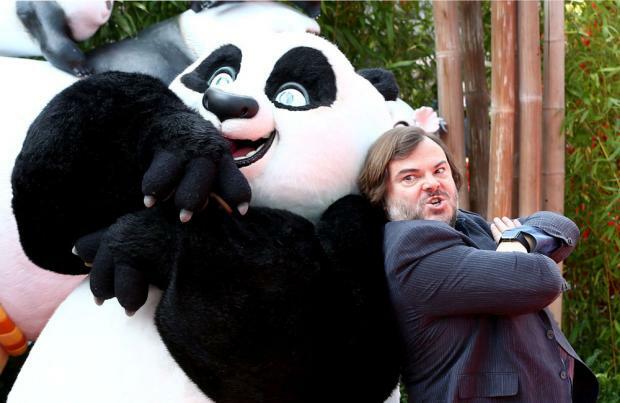 Jack Black's son is "very proud" of his role in 'Kung Fu Panda 3'. The 46-year-old actor's eldest child Samuel, nine, has followed in his father's footsteps by voicing a character for the upcoming animation movie and Jack is incredibly pleased with the "tasty little performance". He said: "He threw down a tasty little performance. He's the first bunny in the movie and he says 'Save the valley!' His name is in the credits at the end and he's very proud. It's a cool thing to share with him." And Jack - who also has seven-year-old son Thomas with his wife Tanya Haden - praised the film's protagonist, Po the panda, as a "ridiculous hero". Speaking at the Australian premiere of the movie, he added to news.com.au: "I love Po's passion for kung fu and his clumsy innocence. He's one of the most ridiculous heroes of all time." Meanwhile, Jack previously revealed he feels theatre actor Stephen Kearin is the "unsung hero" of the production as he impersonates the other characters when they're individually recording their voiceover tracks. He explained: "Sometimes he's not available. They'll say, 'We're going to bring in, uh, Larry from accounts. He's going to read the lines with you today.' And I'm like, 'No, he's not. Let me know when Stephen's available.' He's the unsung hero. "He does an amazing one-man show with the unfortunate title Inside Out, so if you look it up on the internet, you'll never find it. It's a very precise science these guys are working with, so unfortunately I don't get to high-five Angelina Jolie every time I go into DreamWorks Animation."